Not all marketing research is survey-based. In fact, there is a very important segment of marketing research that doesn’t even rely on quantitative methods and statistics. This segment is called qualitative research. Some of the most frequently used qualitative methods are focus groups, in-depth interviews, and ethnography. Qualitative research uses unstructured or semi-structured question techniques to allow a good exploration of the topic at hand. The sample size is typically small, and respondents are targeted non-randomly to fulfill a given quota. Therefore, the results are not projectable to the entire population of interest. Examples of qualitative research include one-on-one depth interviews and in-person and online focus group discussions and ethnography. Quantitative research generates numeric data that can be statistically analyzed. Quantitative research includes larger, random samples with the intention of generalizing the findings to the population of interest. Quantitative research is usually conducted through surveys, with online and telephone surveys being used most frequently. Qualitative research is conducted to help clients focus on the research design. Do concept statements communicate the meaning as intended? Are there unmet needs or product requirements that need to be included in the research? Are the target respondents correctly identified? Qualitative research can be done to inform the questionnaire design. What language do respondents use when they talk about the research topic? What metrics do they use when they discuss behavior frequency? How do they describe their decision process? All of this information can help us design a more respondent-friendly questionnaire that delivers better information. Qualitative research can also be used in pre-testing the questionnaire. Did the respondent understand the questions? If not, how did they decide to answer the question? Were the responses appropriate and could the respondent always find an answer that fit? How was the overall respondent experience? Qualitative research can be conducted after analyzing the results of a quantitative survey, to clarify the results, determine underlying reasons behind the data, and to provide “voice of the customer” quotes that enliven the quantitative results. When key drivers of employee engagement or customer satisfaction are identified in a quantitative survey, qualitative research can be used to gain deeper insights about those key drivers and how to make improvements. Qualitative research is useful after Employee Engagement surveys to reinforce the importance of the survey among the employees and to provide additional opportunities for employees to provide feedback. Qualitative research is extremely useful in generating new product or service ideas, to provide a “disaster check” on a new ad or logo before it is launched, to screen a large number of ideas down to a manageable number, or to provide general feedback on any number of concepts or issues. Ethnography can be very beneficial to better understand the behavior of consumers in shopping for or using your product or service or to better understand the behavioral profiles of your customers. Qualitative Research can be conducted as live, in-person focus groups or interviews or utilizing online chat rooms or bulletin boards. 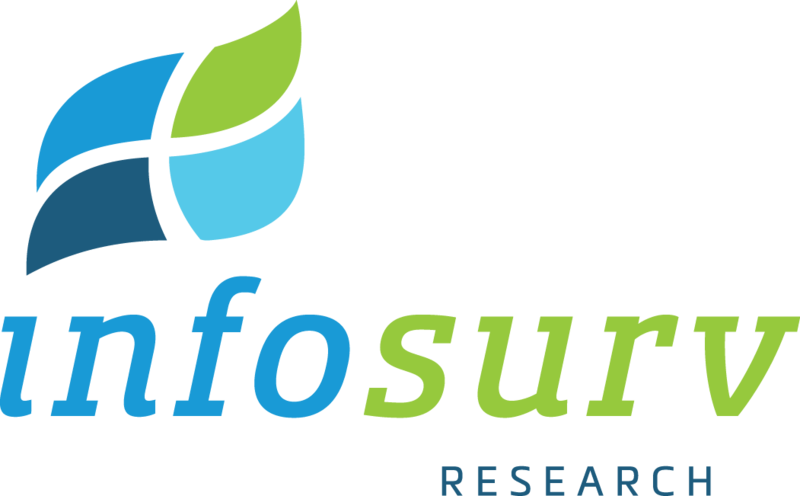 Infosurv Research will recommend the best method and research design for each particular research objective. Infosurv Research has a team of experienced qualitative researchers who can provide these services to you. Contact us for more information on our qualitative research services.